The farewell card from the office staff in Edmonton gave us the most wonderful card to mark the occasion and give us a map and memento that will be treasured. 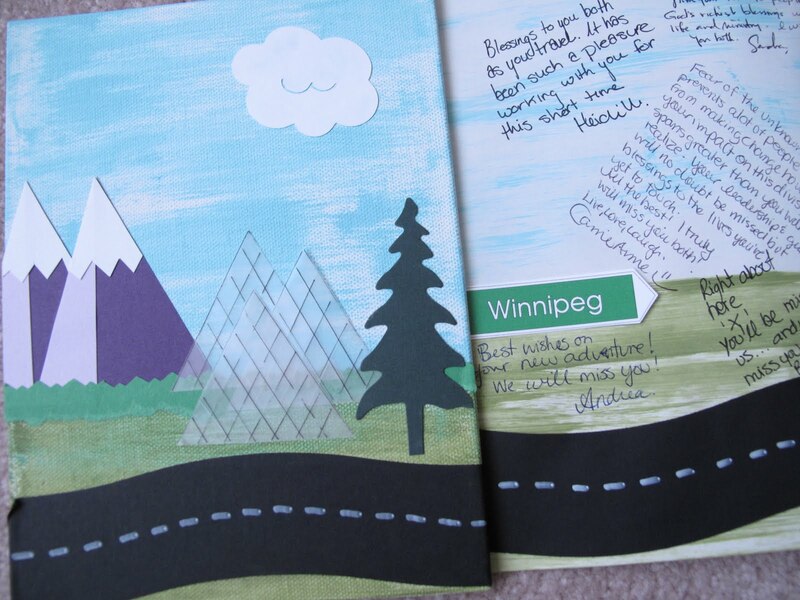 Below is the card – folds out, as you can see, to reveal the road and all the lovely sentiments! The clever creator of the card is Sylvia – you can connect to her blog here! Thank you Sylvia! It’s Friday. 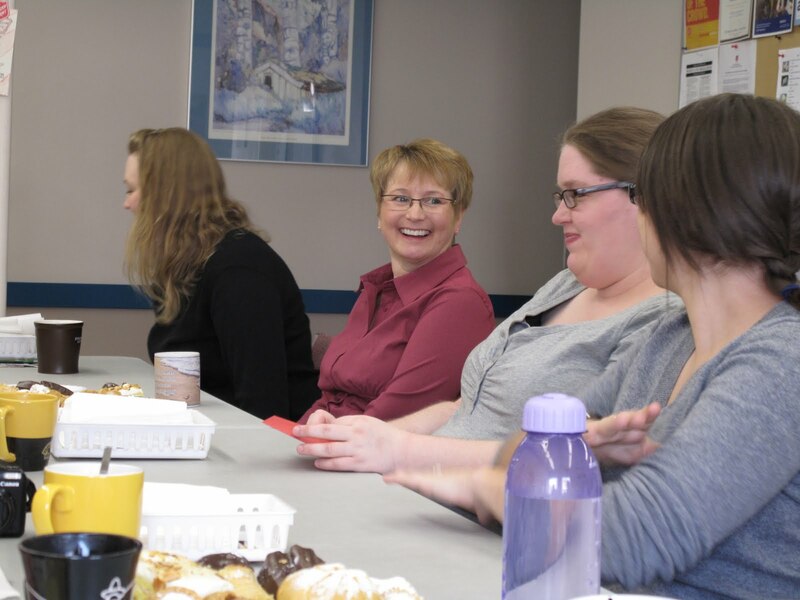 The office staff said good-bye to Susan today. She’s been covering the receptionist’s position while we have a maternity leave at the office. A card, some excellent treats for coffee break and it was time for Susan’s farewell speech. Seems she got the card, we had the excellent treats, but we couldn’t get her to give the farewell speech. After work Susan got her hair cut – I think she looks really good like this. It suits her, don’t you think? 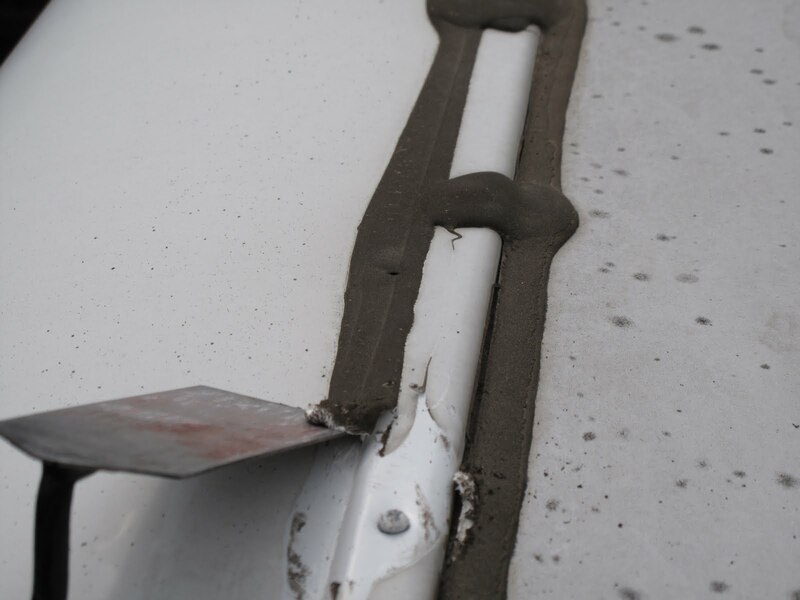 When we got home I began to work on the trailer – you’ll remember from this post that we have a very small leak in the roof. The front seam was no longer sealed by the caulking. The product I am working with is called ETERNABOND. 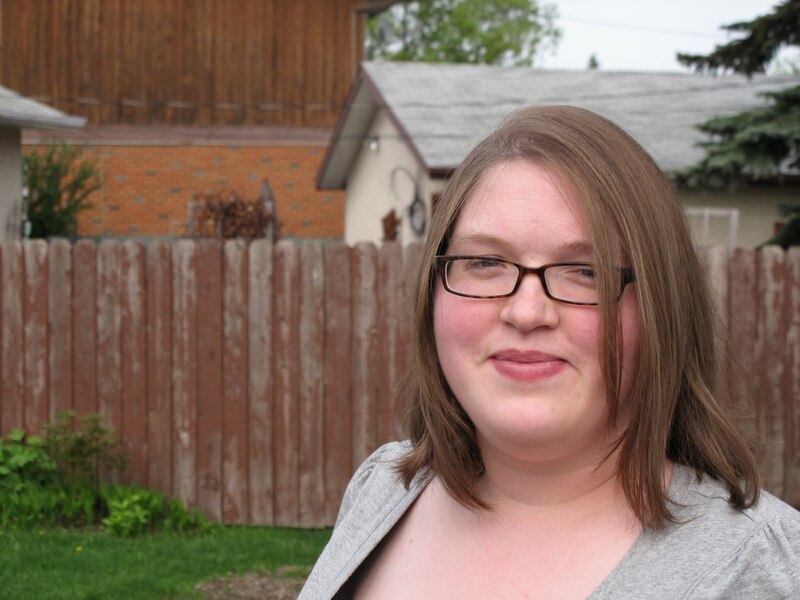 The link will take you to a You Tube video that will show you an application. It’s a bit pricey but hopefully worth it as it is simple and permanent. At any rate, preparing the roof takes a bit of work – it’ll get finished up tomorrow and post some pictures of the final product.